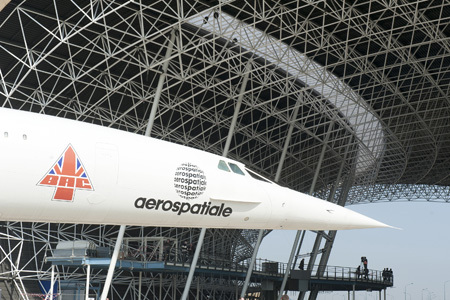 One of the first Concorde jetliners built at Toulouse, France has made its final “voyage” with the aircraft’s ground transfer to the Airbus-supported Aeroscopia Museum site at the Toulouse-Blagnac Airport. 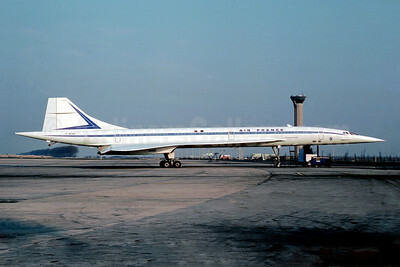 Designated as an Aerospatiale BAC Concorde 100 and registered as F-WTSB (msn 1), this Concorde made its last flight in April 1985, returning to Toulouse after a career that included a full range of test and development activity. 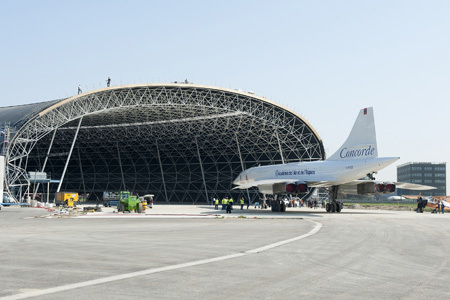 The Aeroscopia Museum where Concorde msn 1 will be permanently displayed has received funding from Airbus, and its collection will also include one of the initial A300s – the cornerstone widebody jetliner in Airbus’ product line – as well as the msn 1 flight test A400M military airlifter. This entry was posted in Airbus and tagged 201, Aeroscopia Museum, Aerospatiale BAC Concorde, Airbus, Concorde, Concorde 100, F-WTSB, France, TLS, Toulouse, toulouse blagnac airport on March 16, 2014 by Bruce Drum.